Nahyun Kim earned her bachelor's degree in television and film at Ewha Woman’s University in South Korea. After graduating from the college, she worked as a programming manager for four years in the South Korean film industry. After this, Nahyun went back to school to pursue higher education and completed her master's degree in journalism and communication at Iowa State University. 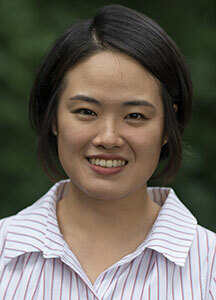 At Penn State, she plans to conduct research on organization-public relations and international public relations. During her free time, she loves to watch movies or travel.